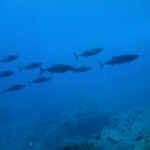 The only Bali spearfishing trip to catch the famous Dogtooth Tuna ! 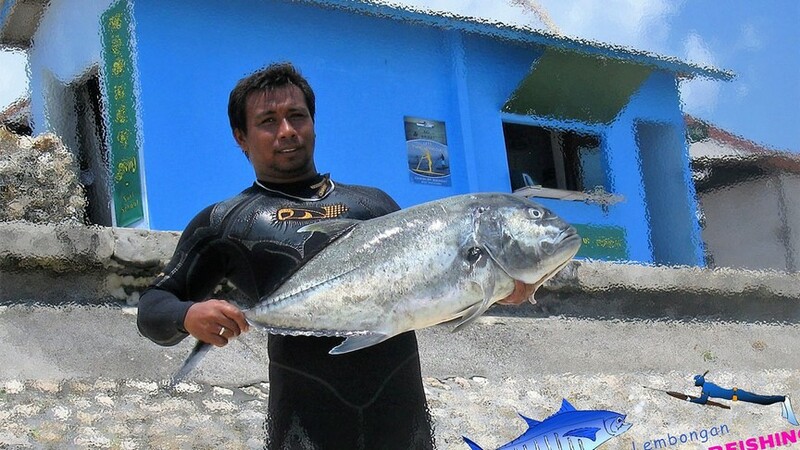 Neophyte or experienced spearfisherman, you will find in Nusa Lembongan your perfect spot. 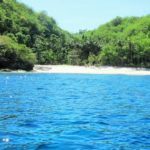 Get ready for the tropical water, the amazing marine life and hundreds of fish will give you unforgettable memories. 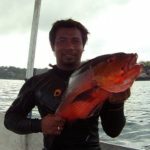 Come and enjoy the relaxing way of life of spearfishing in Nusa Lembongan Bali. 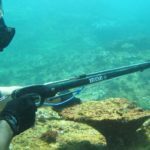 This spearfishing trip is both suitable for the beginner and experienced spearfisherman. 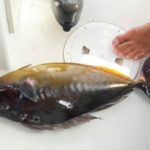 Your spearfishing trip will start with a briefing from your captain. 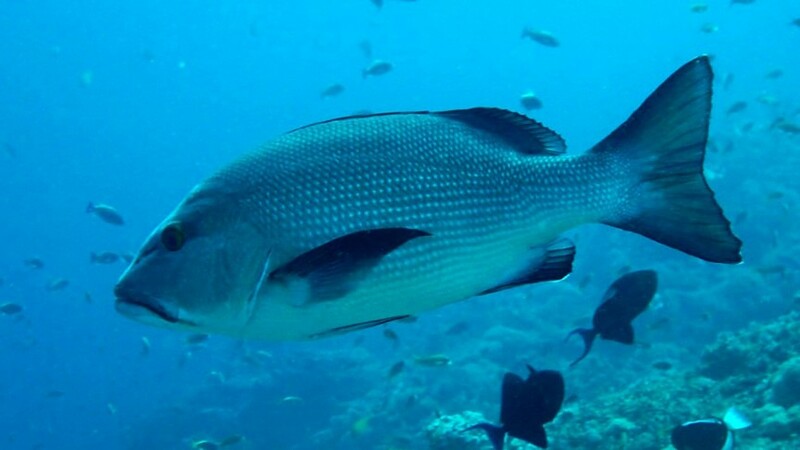 Then he will drive and guide you to several spots focused more on spearfishing in holes. 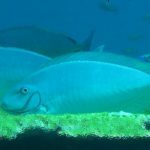 Due to the depth and current, this spearfishing trip is only suitable for the experienced spearfisherman. Your captain will lead you to deeper spots for the hunt of big doogtooth tuna and other pelagic fish, mainly at the coral dropoff. Please note that during high-season (1st of July until 30th of September) we won't be running any spearfishing trip. Your boat captain remains on the boat during the dives for assistance and safety (from other boats and currents). 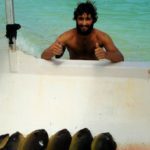 He is himself a very experienced spearfisherman from and will drive you to the best spearfishing spots of the island. We highly recommend you to practice spearfishing with a partner when you spearfish deeper than 6 meters. 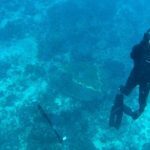 Please check the instructions of a safe spearfishing practice before you go. We also advise you to have a DAN insurance for extra prevention. The best equipment is provided : Beuchat spearguns (single or double rubber), long fins (plastic with different stiffness), gloves, rashvest (or wetsuit when necessary), low-volume mask, snorkle, weightbelt, float and line. On demand we have a RIFFE 120 cm triple rubber + RIFFE line for an extra 250.000 IDR per session, perfect for a big doggy ! 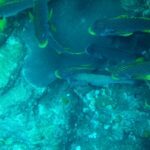 If you are new to freediving please start with a freediving course to learn all the basics for a safe practice. 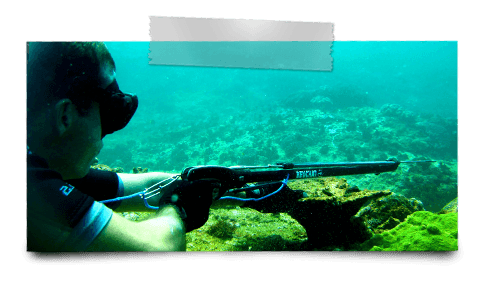 Discount applies when you are 2 persons or more booking for the same spearfishing trip.